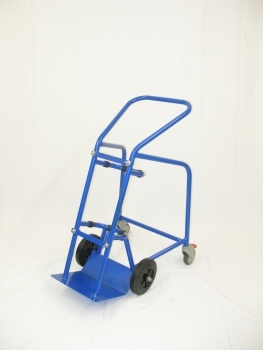 Cylinder carrier trolley with support for stability. 2 x Steel retaining bars with wing nut. To hold cylinder sizes F and G.
100mm Swivel Braking Castors at the rear.